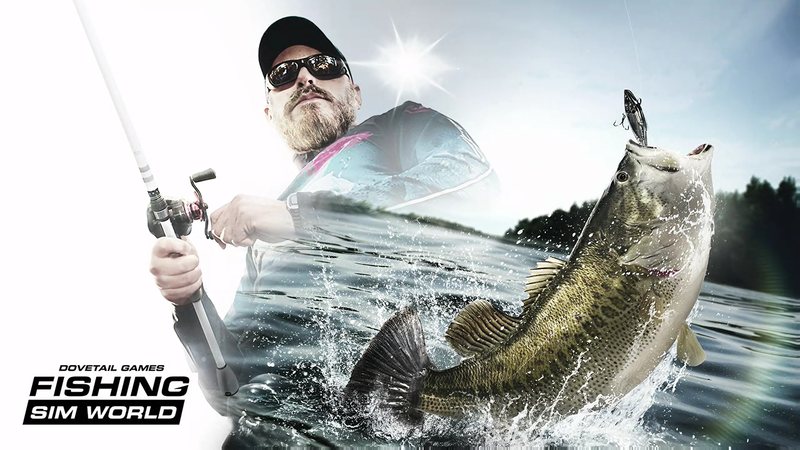 Single player offers you freedom fishing or tournaments. 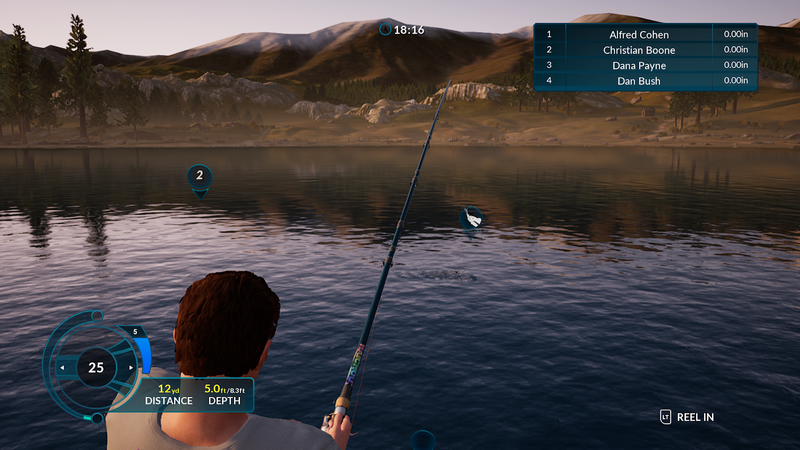 Freedom fishing lets you pick one of seven locations the game has, all of which have certain species and trophy fish to catch in them as well. Choose a location, time of day, weather, and what tacklebox you want, and boom, off you fish. Just playing here will not only up your ranking, but also earn you tackle points, which you can use to buy some new gear to customise yourself, and also new fishing gear such as rods, lines, lures, and baits, to things like new boats, or just wraps for your current one. 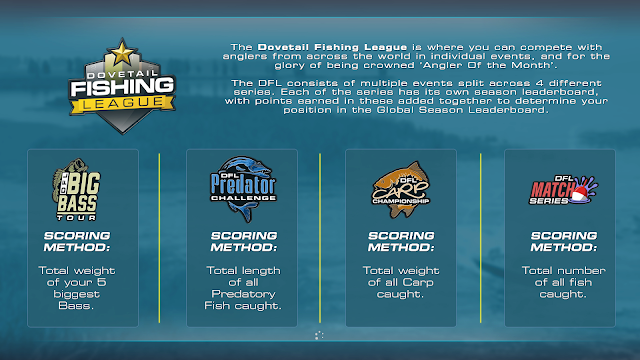 Offline tournaments offer Bass, Carp, Predator, and match tournaments to play, with each one offering a free tournament to enter, with others later on requiring you to spend some currency you earn within the game to enter. You also need to have got yourself a medal of some sort in the previous event. How to win these timed events can be seen in the image below, with each one having its own way of deciding how fishes are judged in them. Online play is here too, with the same tournaments seen in offline mode here as well as the option of just jumping into a none timed event with a bunch of mates or random gamers. 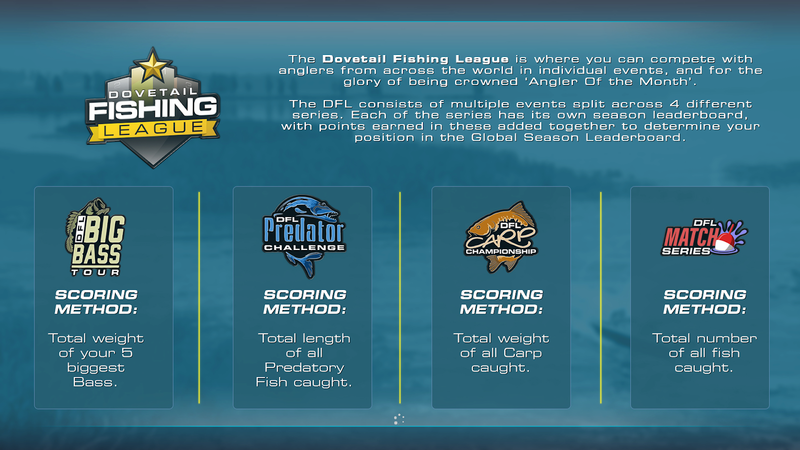 Events here also cost tackle points to enter, but also offer a big return in tackle points back if placing well enough. I can't really say I've dug too deep into this for the pure reason of not having enough time in my day to sit down on one game for over an hour without the ability of a pause button. For those that can though it does what you would expect from an online fishing game, offering the same experience as the offline mode only with real people who always seem to be much better than you. Well in my case anyway. In terms of the actual fishing mechanics and how the game plays compared to Euro Fishing, I can't say I've noticed that much of a difference when it comes to casting and hooking a fish and reeling it in. It felt a very familiar experience, but that said, why break something which I felt worked half decently first time around. Now, to the bad bits, and my short time with the game I only really have a couple. One of those being boats, with the world the game has still being dull and not really that nice to look at once you start getting out into it. Adding some speed as you travel around a location on these boats can see some horrible screen tearing happening, with the water itself just turning a bright shade of white every few seconds as you hit top speed in it. The second thing is while still water and even locations in terms of looks have improved ever so slightly, they still offer nothing to them once you begin having a look around. Making them yet again boring on the eye if glancing around waiting for a fish to bite. 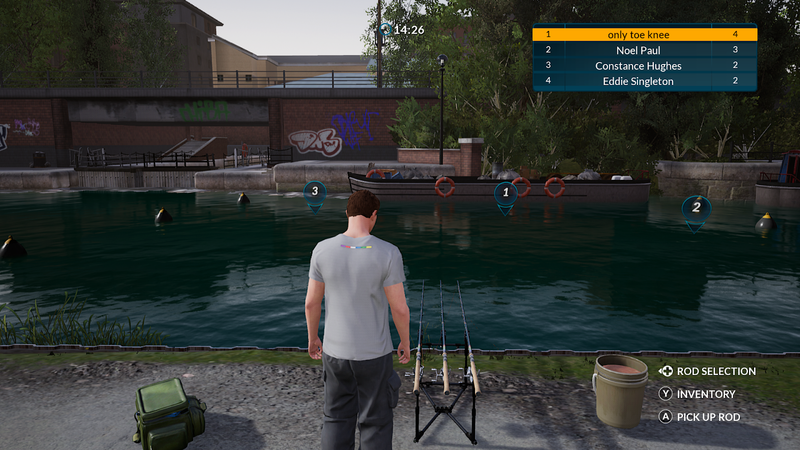 Overall: Slight improvement in terms of looks when it comes to fishing at a standstill and water and fish, under all that though, it doesn't really warrant dropping £29.99 on this right now, more so with Euro Fishing being part of Gamepass and being basically the same game minus a few small upgrades. You know what's weird? I'd never buy an actual fishing game but I've literally spent hours playing fishing minigames when they appear in any RPG or open world.